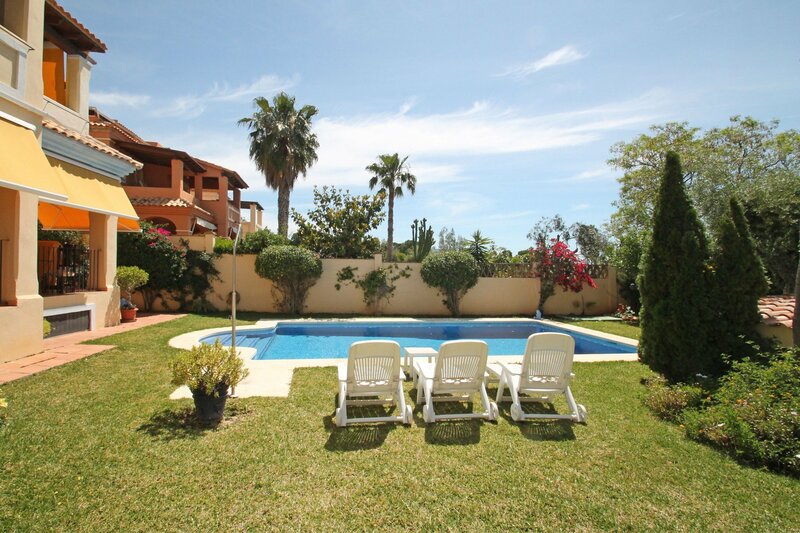 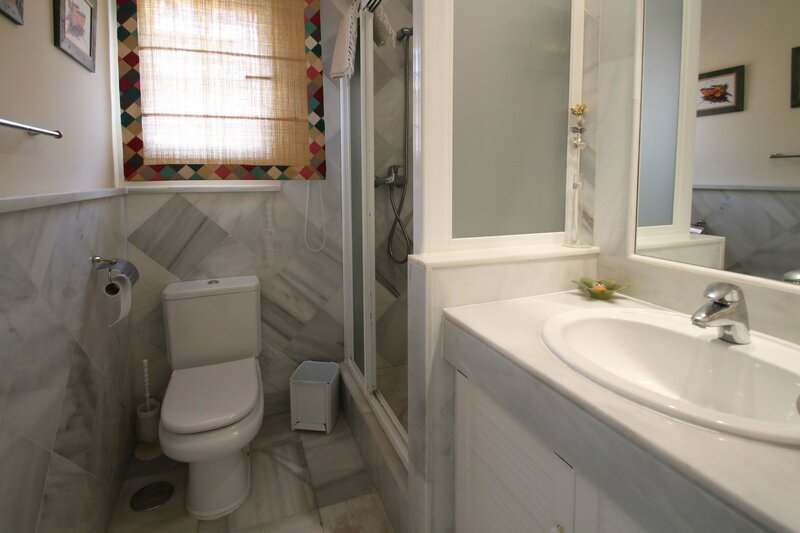 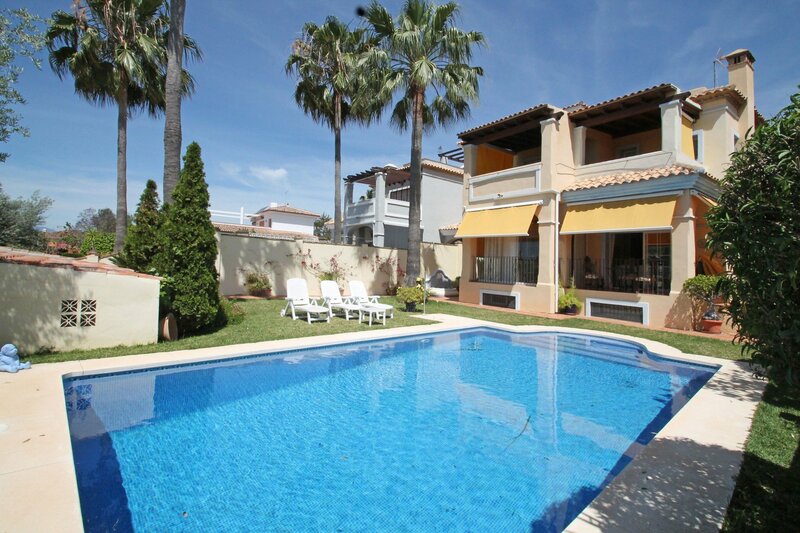 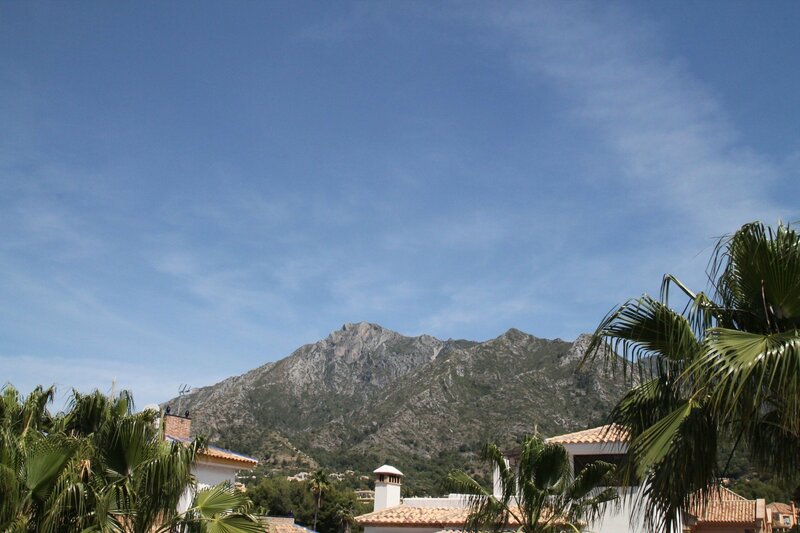 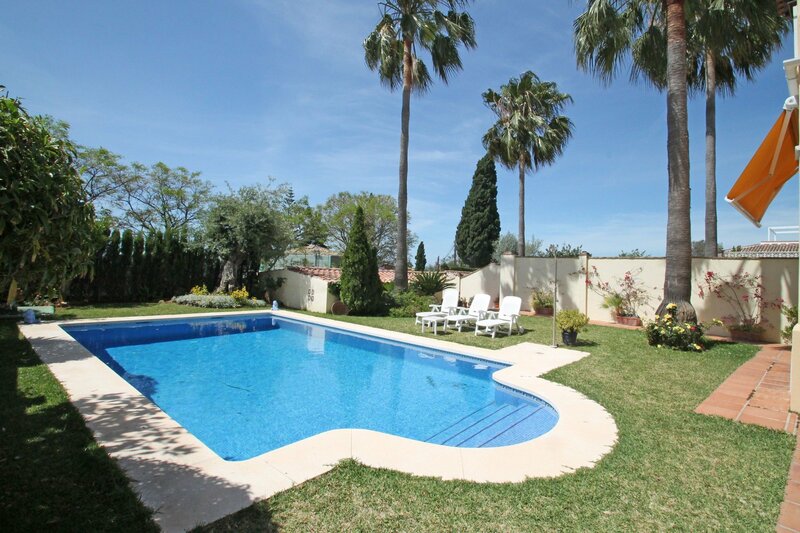 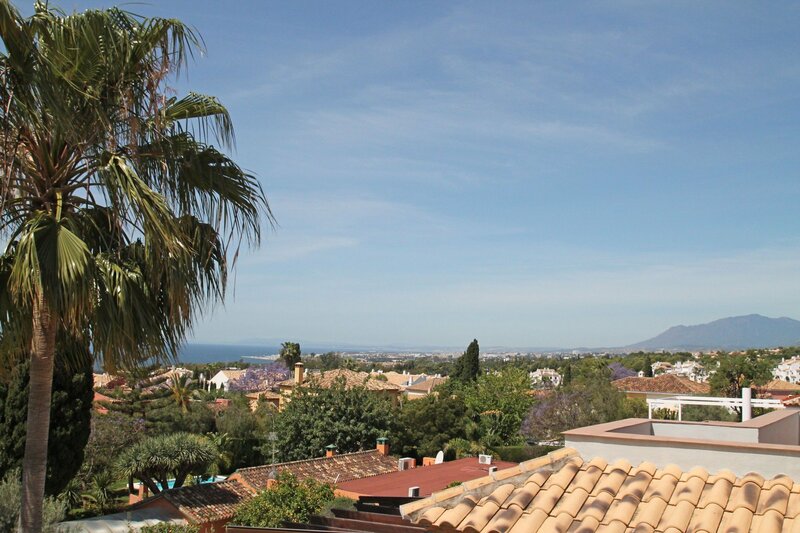 South facing four bedroom villa located just off Marbella city centre within walking distance from schools, supermarkets and bus station. 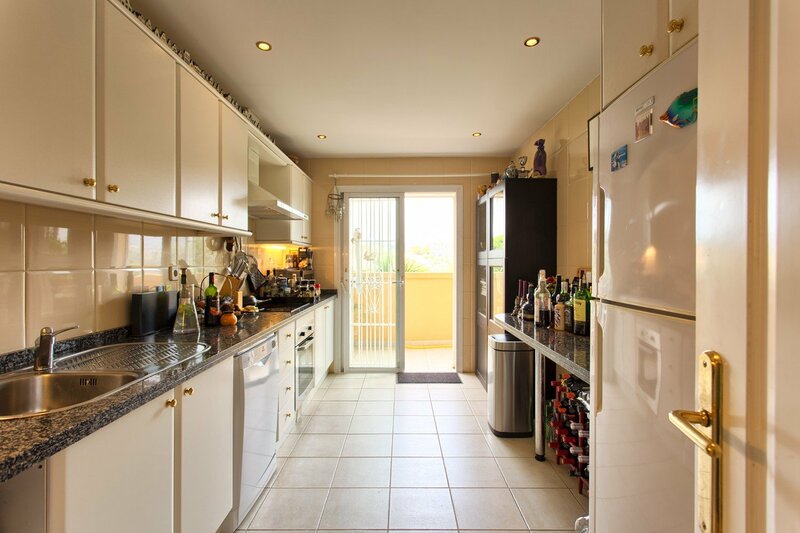 This property is distributed over four levels and entrance level comprises: entrance hall, living/dining room with fireplace and access to two differentiate covered terraces overlooking the pool one of which is glazed, one bathroom and fully fitted kitchen with dining daily and utility room with access to the back side of the house. 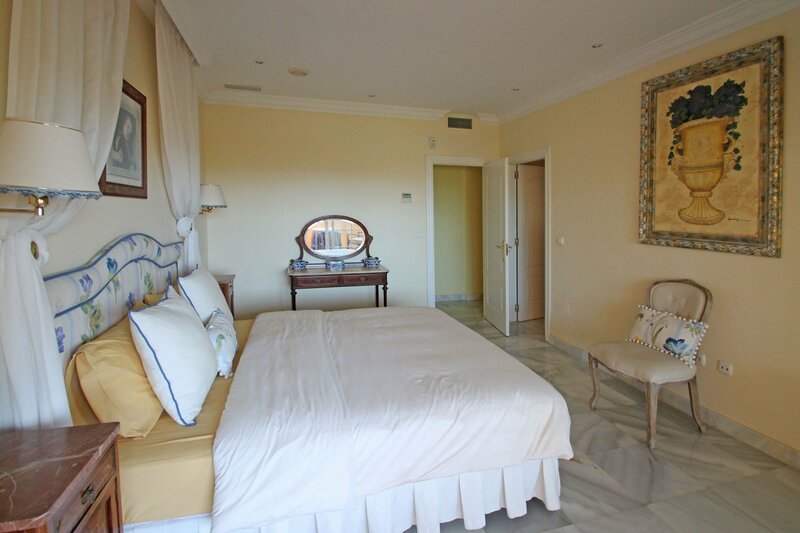 On the first floor, master bedroom with en suite bathroom and two guest bedrooms one of them with en suite bathroom. 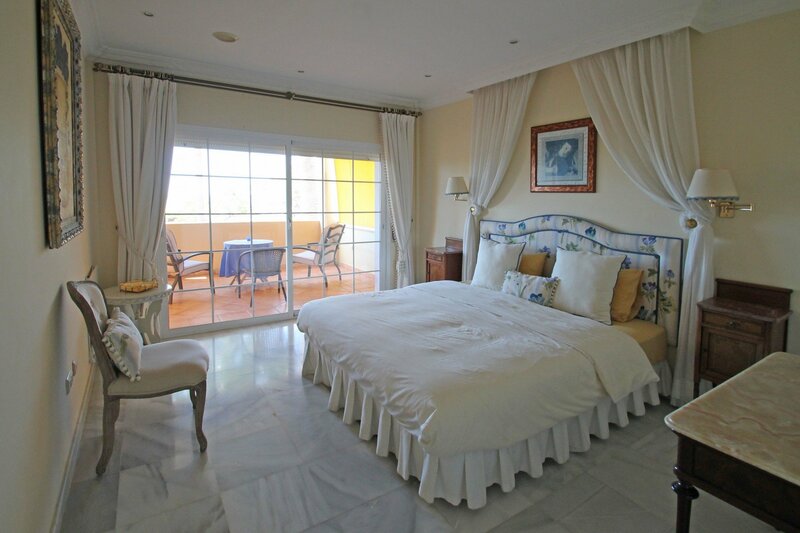 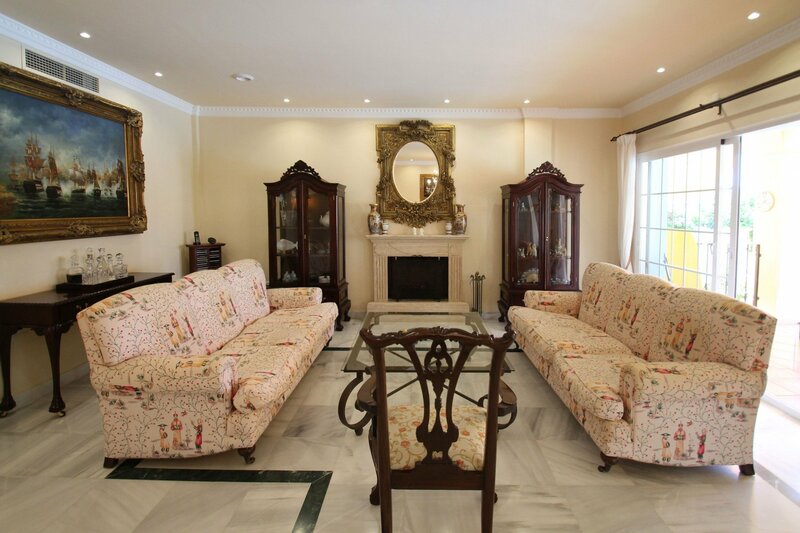 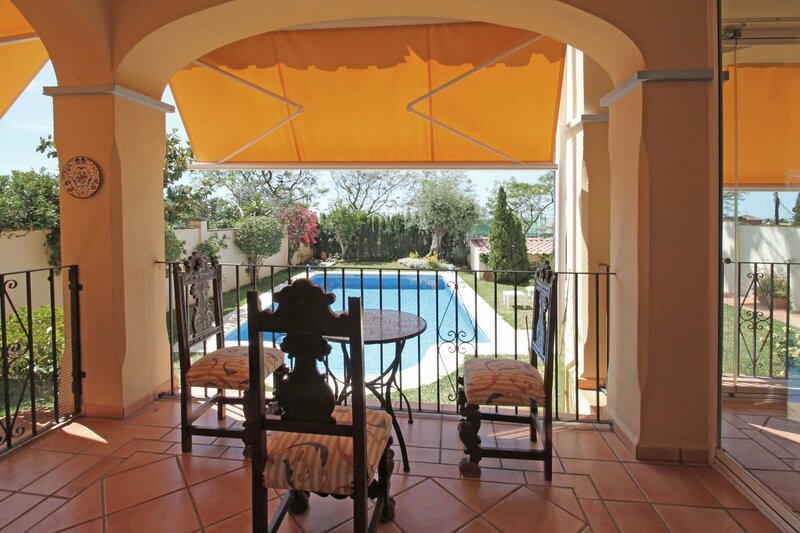 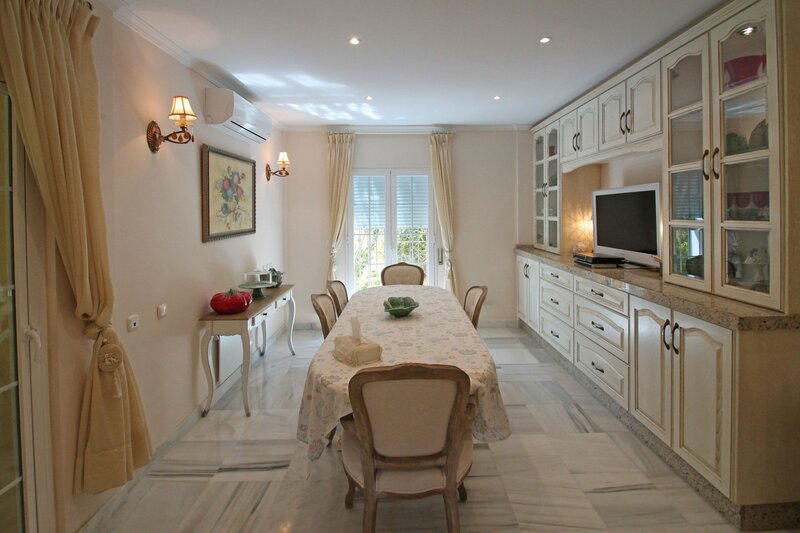 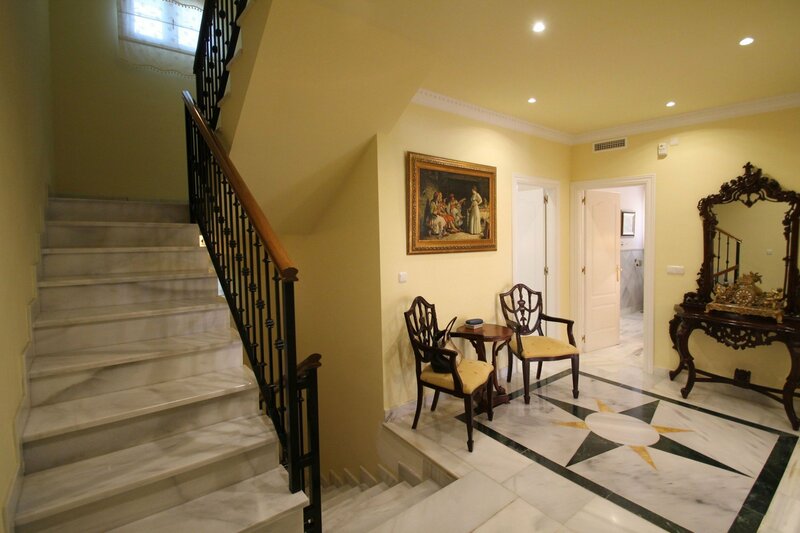 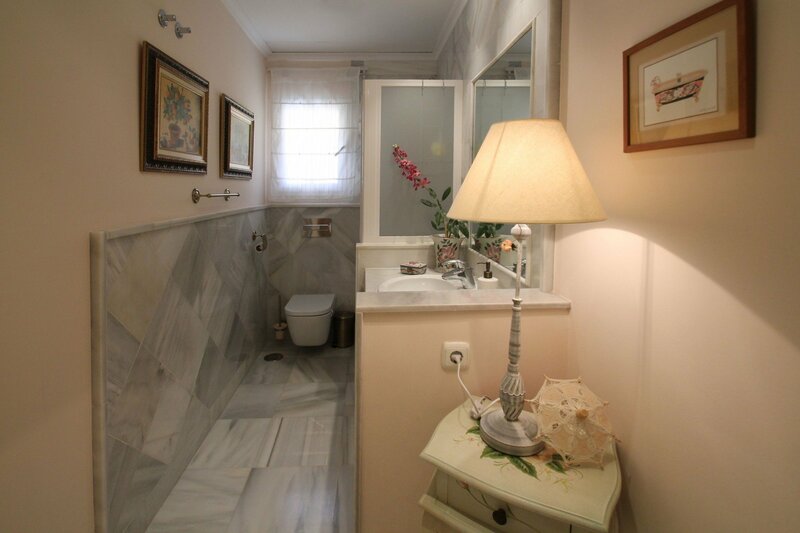 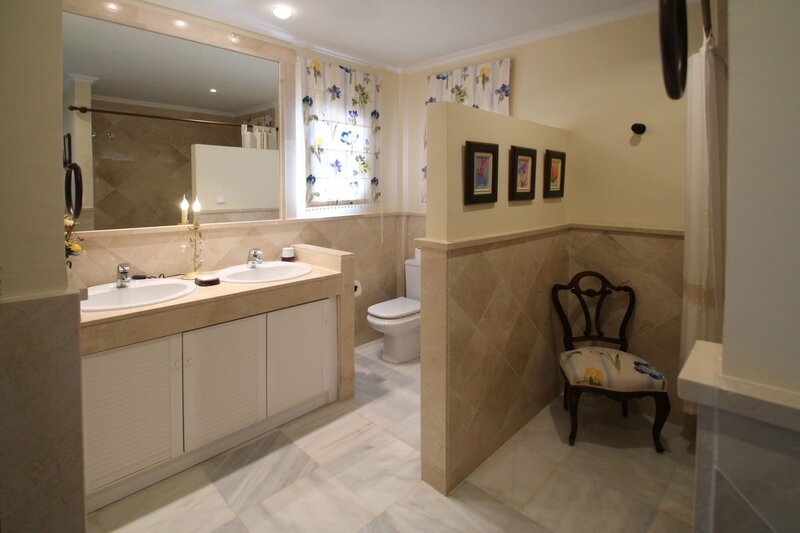 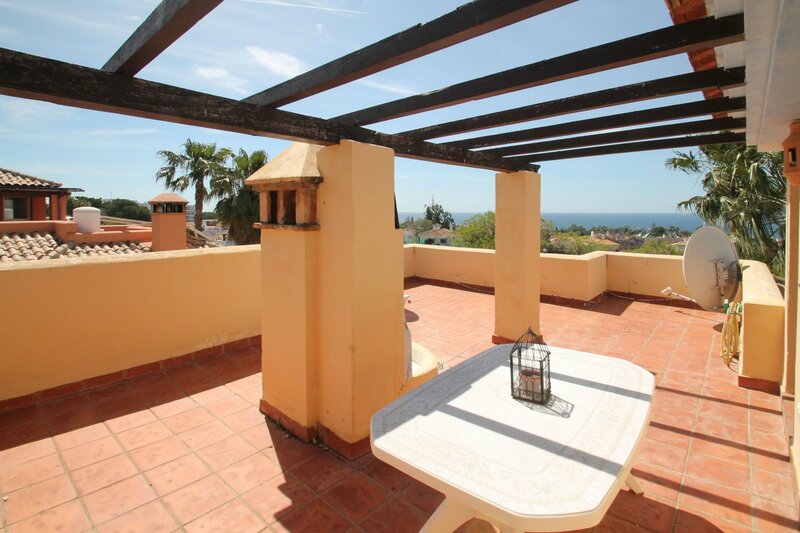 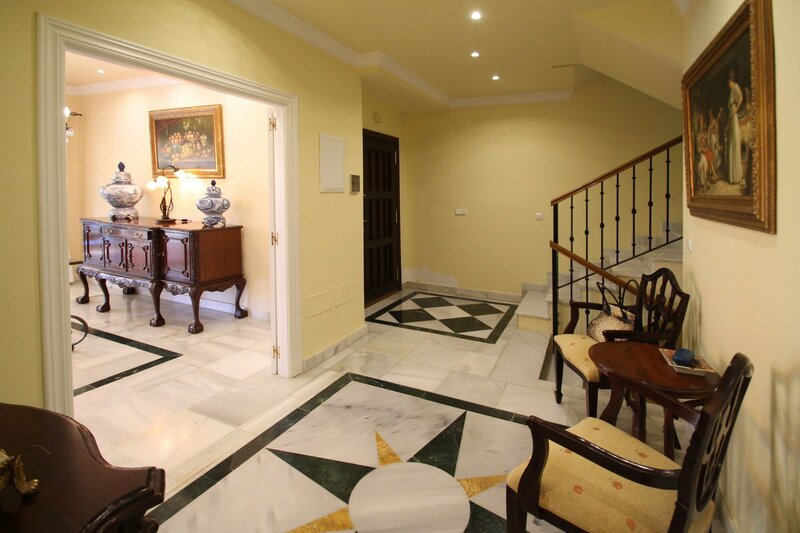 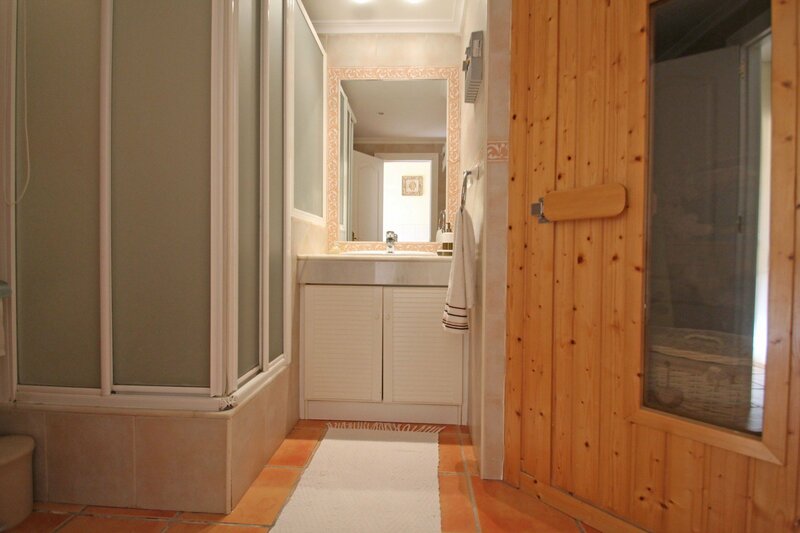 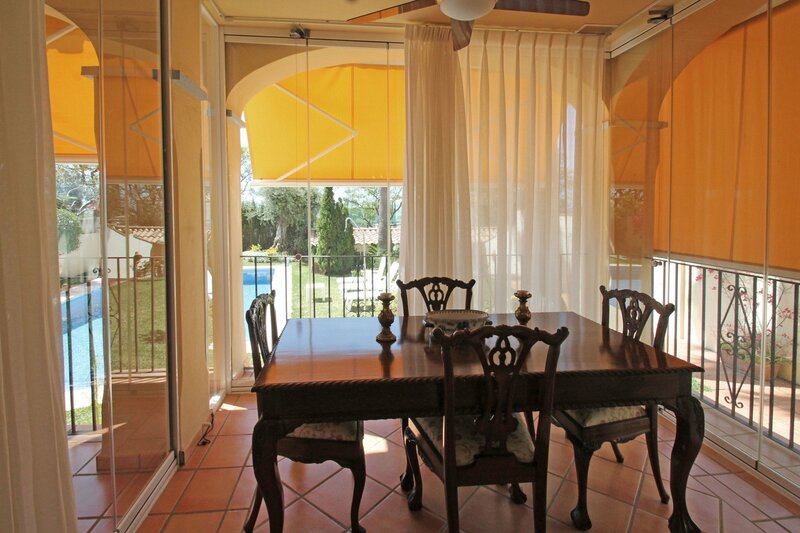 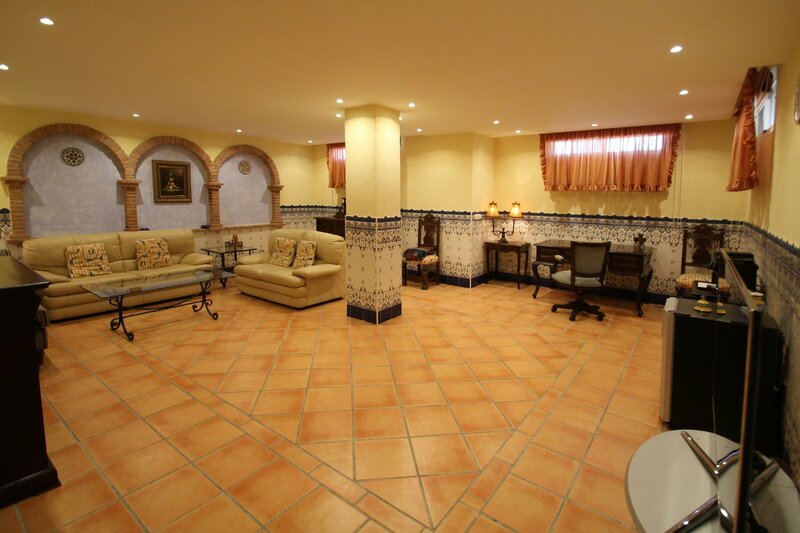 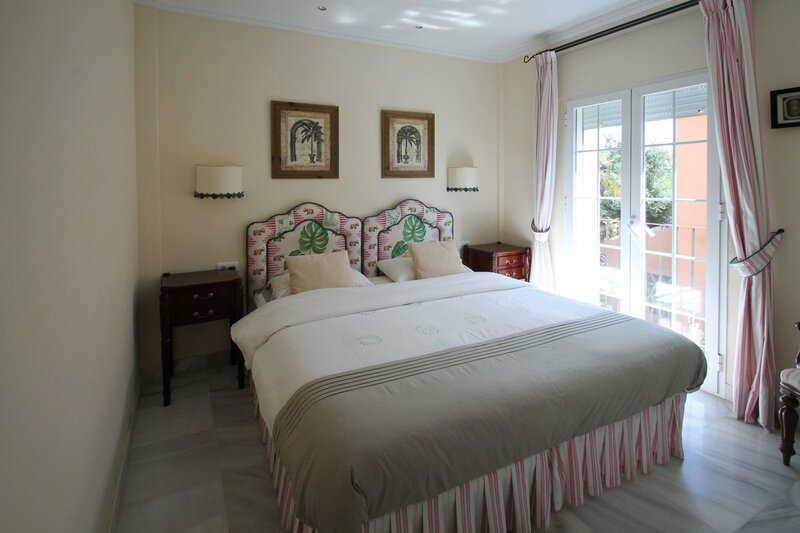 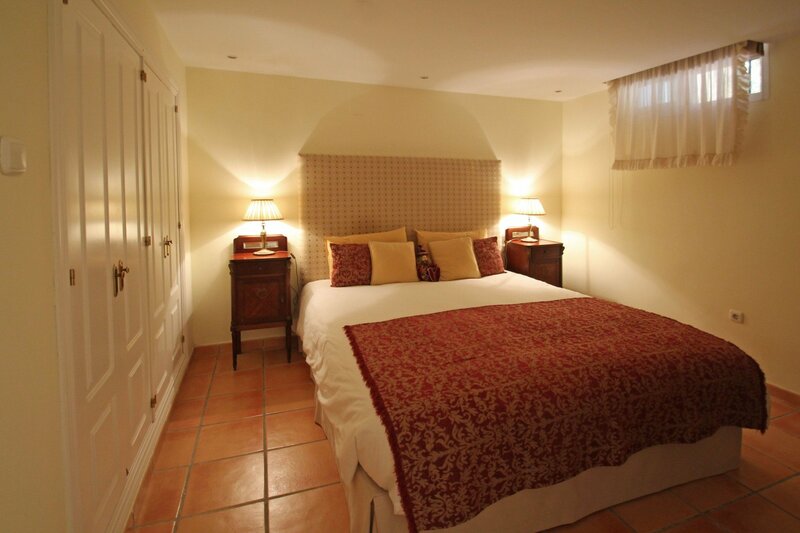 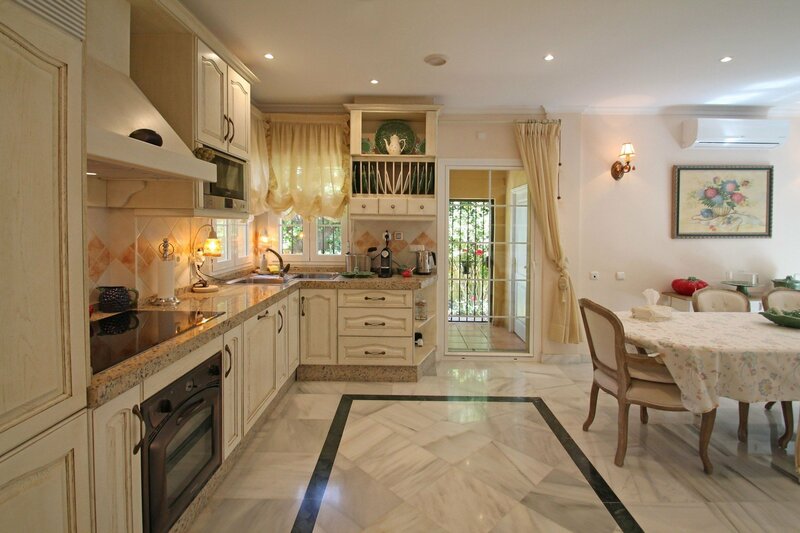 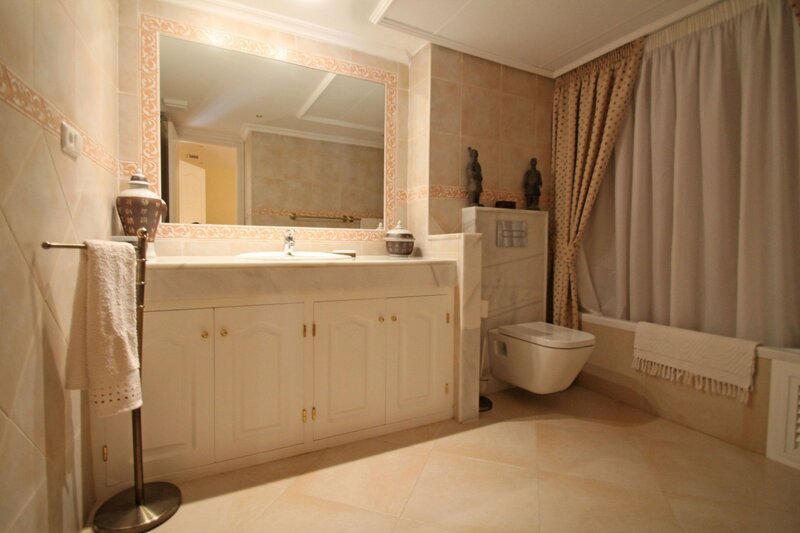 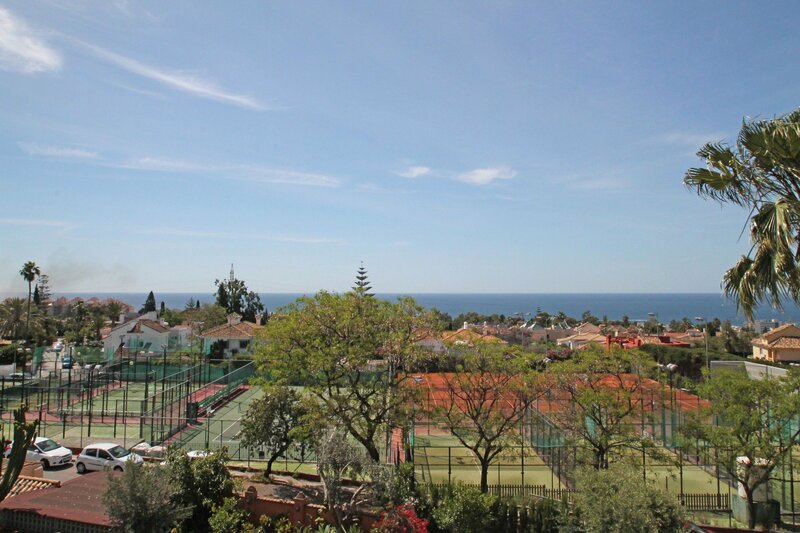 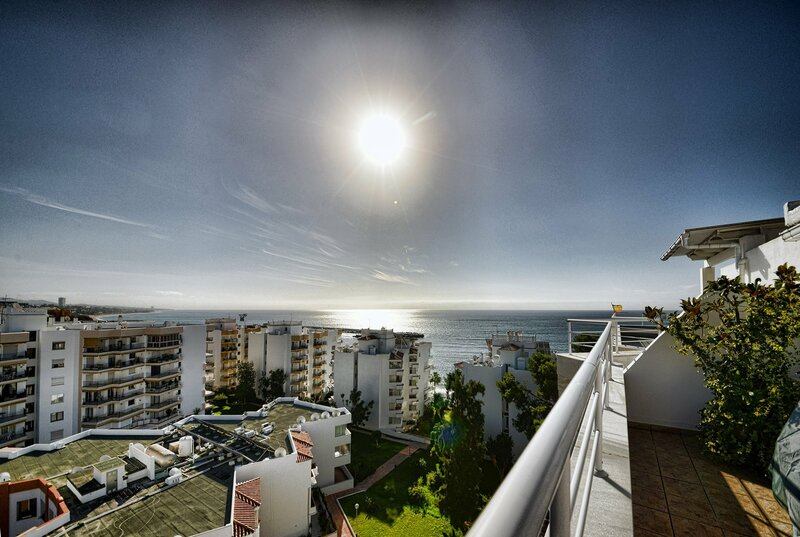 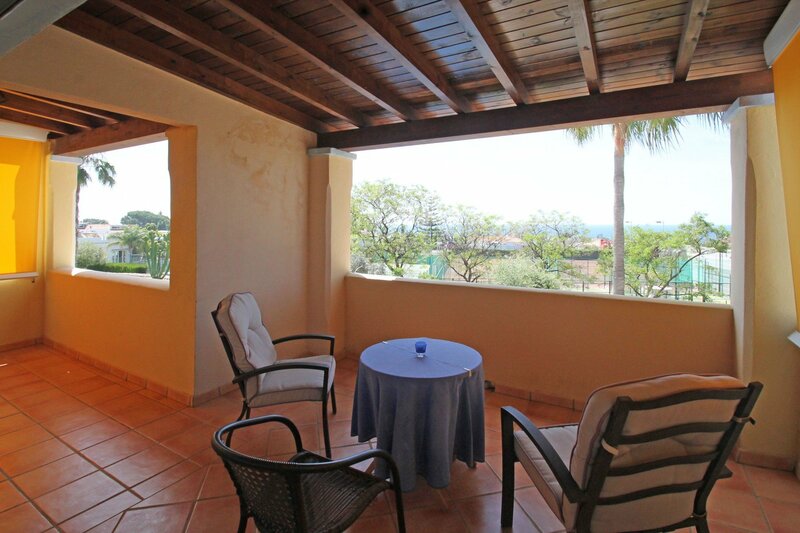 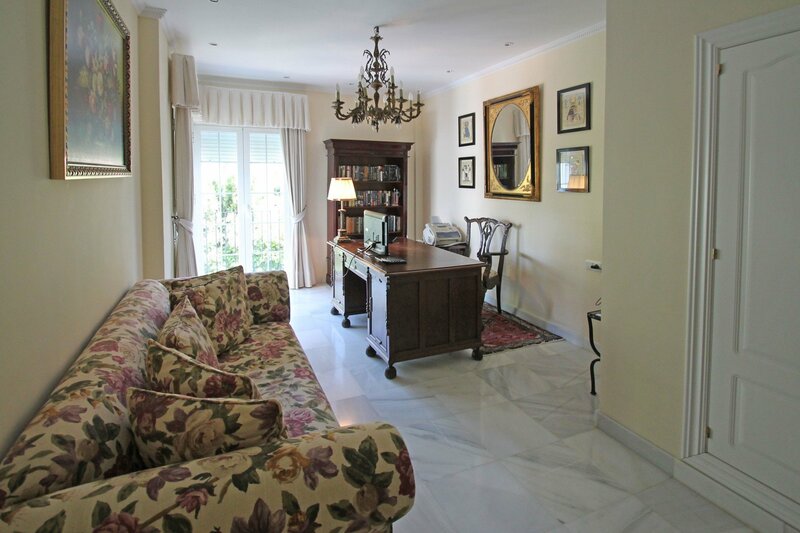 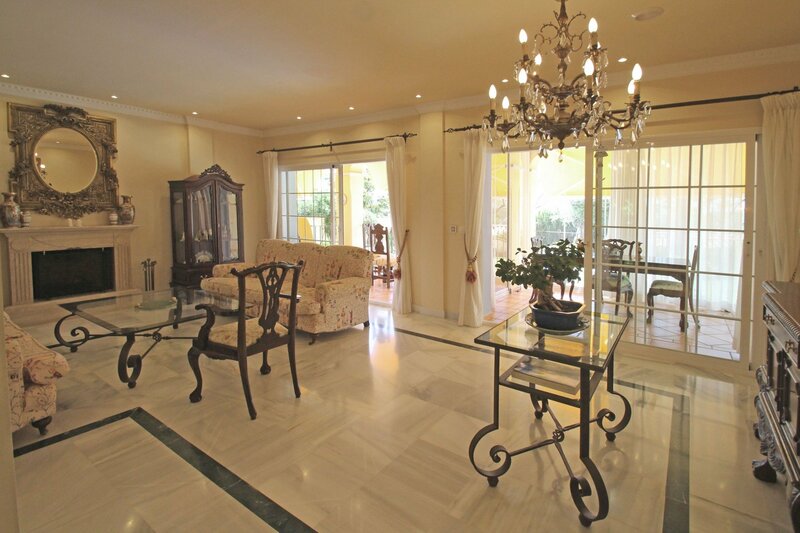 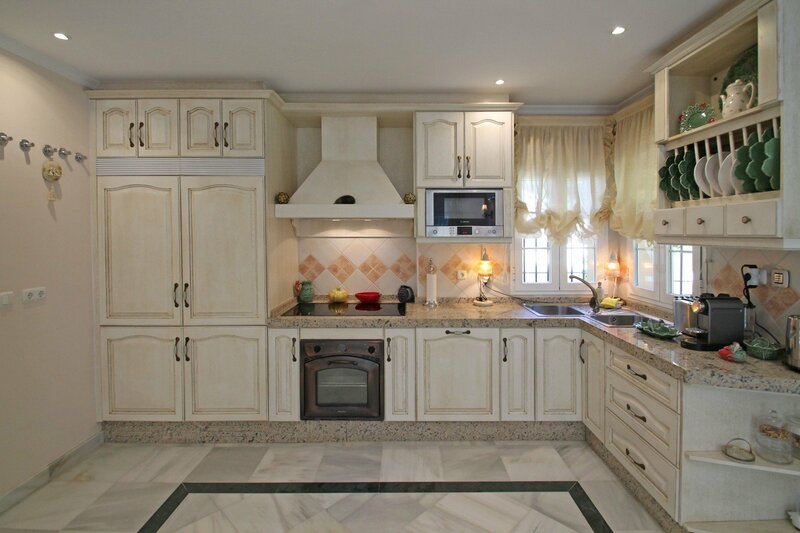 On the upper floor, there is the solarium with splendid Mediterranean Sea and mountain views. 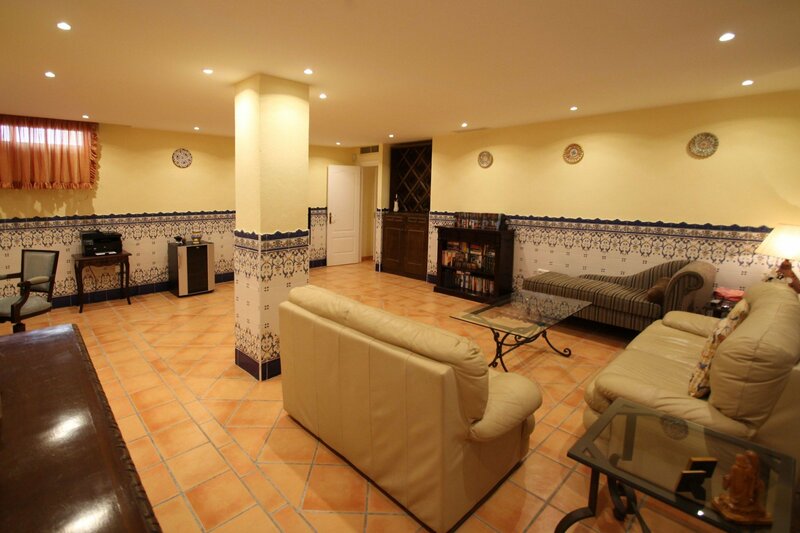 In the basement, fourth bedroom with en suite bathroom and large multipurpose area to be converted into cinema room or play room, one bathroom with sauna. 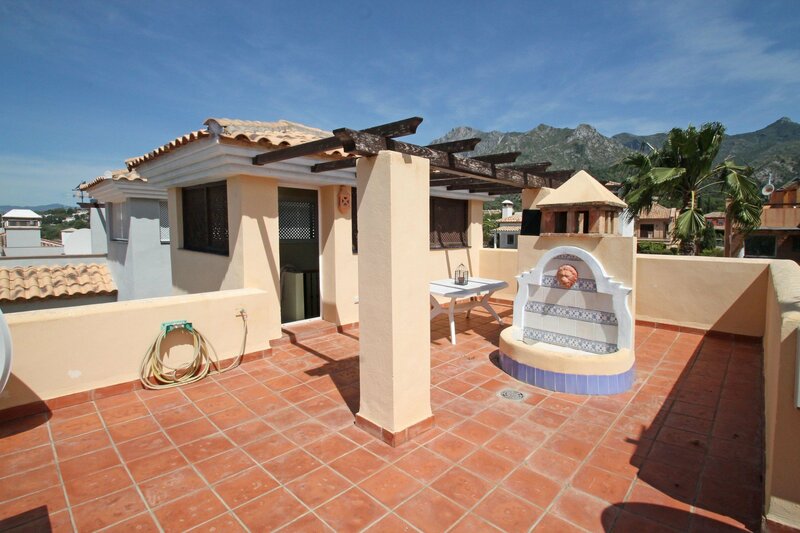 Features include: air conditioning H+C and private garage for two cars.